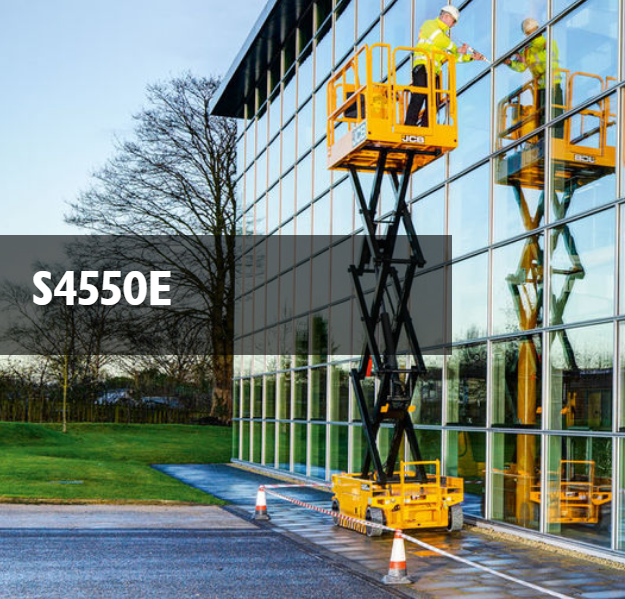 The JCB S4550E is the largest electric powered scissor lift in the range with a 45 foot platform height and a 51 foot working height with the operator. Drive motor protection and protected, tamper proof safety systems make the S4550E a robust, durable machine. Cost of ownership is kept to a minimum through the use of industry standard componentry and easy to replace components.